We always enjoy fresh berries when they’re in abundance during the summer – especially strawberries and blueberries. Often, we’ll eat them as is or with yogurt. But when you get a batch that isn’t quite up to snuff (or in the rare cases where you don’t eat them as quickly as you intend to) that’s a good chance to bake with berries. Sometimes I even freeze some to use throughout the year. So even when the calendar says fall or winter, I can hold off on baking with apple and pumpkin and opt for a summer treat. 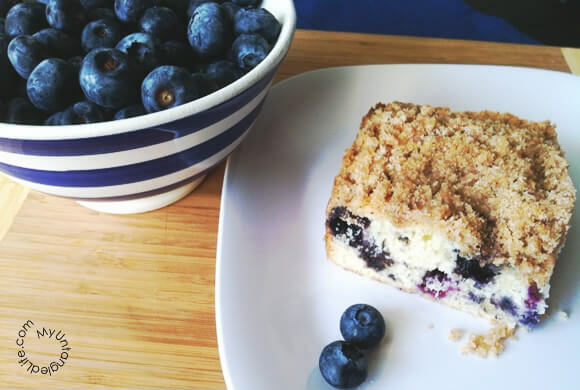 This blueberry buckle coffee cake recipe is one of my all-time favorites. 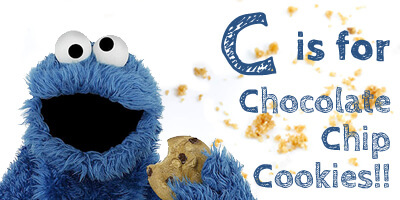 The recipe is a little something old, something new, something borrowed, and something blue. The recipe itself is an old family favorite that I have borrowed (and tweaked a bit) from my Mom. What’s new is that it’s the first recipe I ever blogged about. The blueberries are, obviously, the something blue. This blueberry buckle is the one we used to love as kids. Then, when I was a grad student in DC and would come home for a family summer vacation, Mom would often bake it to take with us on our trip. Finally, I started making it on my own. It always comes out nicely. You could eat it for breakfast, with tea or coffee, or as a dessert. For me, I love it on a holiday weekend for breakfast with a nice cold glass of milk. It is great eaten warm, but just as good at room temperature. If you manage to keep it around more than a day or two, you might want to refrigerate it, as it does get moist. 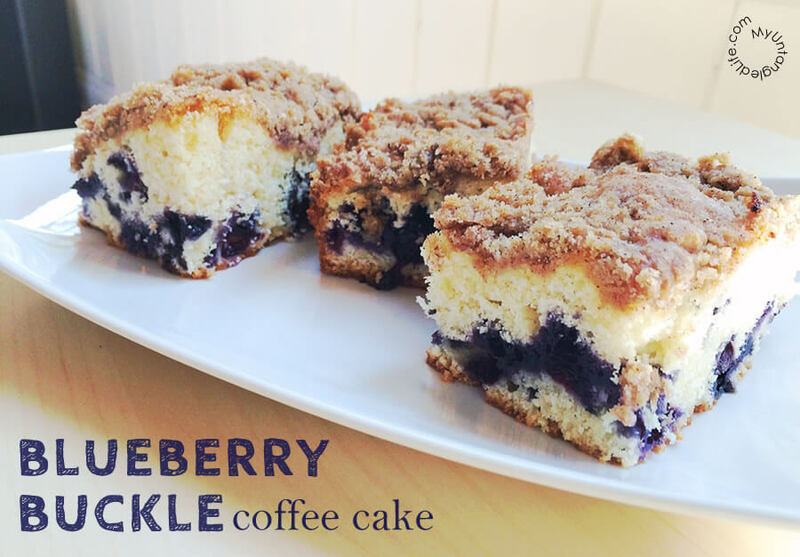 This blueberry buckle coffee cake is the one we used to love as kids. You could eat it for breakfast, with tea or coffee, or as a dessert. 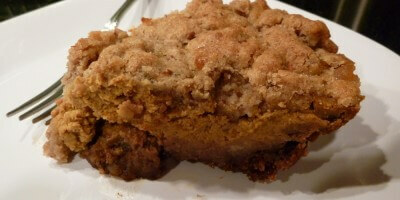 Make the crumb topping by cutting the butter into the dry ingredients with a pastry blender or fork. The mixture will be coarse. Set aside. Begin making the cake batter by creaming the butter and sugar with a hand or stand mixer until light and fluffy. Add the vanilla and milk and blend until mixed. In a separate bowl, sift the dry ingredients (flour, baking powder, and salt). Add dry ingredients to wet and mix until just combined. Pour the batter into a well-greased 9-inch square cake pan. 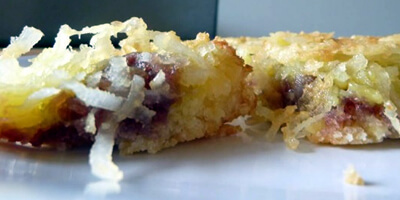 Sprinkle the crumb topping evenly over the batter. Hungry for more? 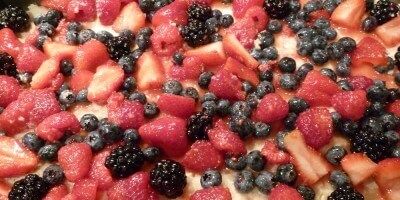 Try Joanne’s Gluten-Free Black Bean and Blueberry Brownies and follow my Berries! Pinterest board!